NFL owners are, at least in some sort of a weird way, are like modern day kings. In all honesty, they are figures who care only about the dollar signs as it is the singular way to flaunt the unlimited power that they possess. These oddities of men have conquered the business world and have their sights set on none other than America’s pastime. The National Football League and the riches that one can gain in that ever so difficult to understand occupation. Although, a king would be nothing without the imagery of one. For a king needs the crown, the clothes, the posh demeanor, the whole nine yards. If anyone understands that sentiment, it’s NFL owners who tout about all their riches. All to the world just for the sheer enjoyment of showing off and parading themselves as the king of kings. The typical fan may not recognize any of the following names in any capacity. However, after seeing the affluence of these kings, it will be hard to forget who really runs the antiquated business that is the NFL. Despite the funny appearance of that handlebar mustache and the crazy hair, Shahid Khan is the furthest thing from being funny. Although he may have been a mere dishwasher when he first immigrated to the United States, things have changed substantially. Since 2012, Khan has owned the Jacksonville Jaguars and he hasn’t been too shy of his riches. As a matter of fact, Khan owns, not one, not two, but three private jets. All of which are issued to registered to another one of his companies, Flex-N-Gate. In addition to that, Khan and his family own a penthouse worth up to $8 million dollars in Park Tower. Which just so happens to be one of the tallest buildings in all of Chicago. 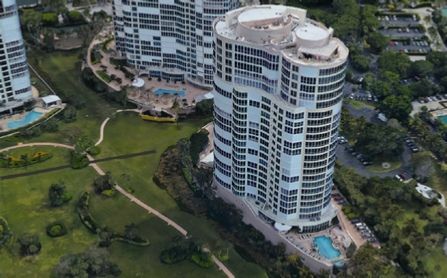 As if that wasn’t impressive enough, according to superyachtfan.com, Khan and his family used to live in yet another penthouse in Naples, Florida. Yes, that’s his FORMER address, and yes it costs millions upon millions of dollars. $11.5 million dollars to be precise. Even though this is already impressive enough as it is, the penthouses and private jets that is, Khan has one more jewel in his crown. Shahid Khan, in only the most kingly thing that he could ever do, owns a yacht. While that may already be extravagant without the specifics, it’s the details that make it all the more interesting. Khan’s yacht is worth up to $200 million dollars, has an open fireplace, an oval-shaped pool with a jacuzzi just chilling on the sun deck, and has it’s very own spa and elevator. Khan in his own right has all that it takes to be the king of kings in the NFL. He certainly has the plunder and doesn’t mind showing it off. Yet, he’s not the only owner who is capable of being a king. Far from it. Perhaps the most flamboyant of the bunch, Jerry Jones. A man who needs no introduction to anyone who even remotely watches football. Jones, since taking over the Dallas Cowboys in 1989, is not one to shy away from showing off every now and then. Currently, Jones may live in Dallas, but he couldn’t be more distant from the city and its environment. He lives in a $20 million dollar mansion in Highland Park, which is known to be an extremely affluent area of Texas that only the rich live in. Aside from that, Jones is known to be a massive enthusiast of art. Specifically, Jones is a fan of modern art and his mansion is full of multiple pieces. Though, perhaps the most intriguing of these being Norman Rockwell’s “Coin Toss”. Which at the time of its purchase was worth $1.1 million and is now worth $18.5 million according to Business Insider. But it doesn’t end at mansions and art, Jones’ vehicles show off quite a bit about the lifestyle that he lives. Jones owns his very own private plane that is said to be worth $50 million dollars. Furthermore, Jones is one of these kings whose willing to show off everything he has and to proudly sport his team at all times. Take, for example, his $2.5 million dollar luxury bus that has marble countertops and nine televisions. Because you definitely need that. But without a shadow of a doubt, the one massive toy that Jones has is AT&T Stadium. Undoubtedly, his prized possession above everything else, and rightfully so considering that it cost a whopping $1.2 billion dollars to build. But the troubling thing about AT&T Stadium, despite how beautiful it may be, is that it is an energy guzzler. That giant video board doesn’t power itself and people have begun to catch onto that fact. According to an article written by Ellen Johnson Sirleaf on Foreign Policy’s Magazine, it takes more to power ‘JerryWorld’ than it does to power the entirety of Liberia. Which, at least in some way, has to make one feel terrible about just how much upkeep this thing takes. So to summarize, ‘King Jones’ certainly does have the toys and selfishness to be called the king of kings. There’s no one quite like him, a man who can somehow be more wasteful than an entire country. Hats off to you, ‘King Jones’. But alas, maybe all these men aren’t quite as terrible as Jerry Jones. Granted, some of these men are just as, if not more, rich than Jones. Yet, some kings aren’t actually bad at all, which leads to the next man.